*Good day EURweb.com readers, Thanks for reading. I wanted to take the time to let you know that the current column on technology InSYnC is undergoing reconstructive surgery and a major overhaul. As of today the column formally known as InSYnC will be renamed Gigabit. There are a couple of reasons for these changes. Number 1. It seems that every day the number of technology breakthroughs in mobile phone increases significantly. A few years ago there was only Apple’s iPhone, Blackberry, and flip phones galore. Now… there are more phones and more varieties of phones than one can name in a single setting. As the Gadget Guy its been my mission to educate you on a variety of technologies that are currently in the market. THe good thing about this restructure is that it’s not just limited to Tuesdays and Thursdays. Unlike InSYnC, Gigabits will be available to you as early as the same day that the news is released. We have to make sure that you are aware of the latest and greatest in technology.. especially since you probably spend a hefty penny on a phone or some type of mobile computing device at least once or twice a year. I thought today would be a great day to talk iPhone. As many of you are aware. Yesterday, Apple did their annual release of their baby, the iPhone. A phone that literally revolutionized Cell phones. Introducing iPhone 5c and iPhone 5s. Yep that’s right two different models! This is the first year that both iPhones will be available through all four major US Carriers; AT&T, Sprint, Verizon and T-Mobile at the same time September 20th. Pre-Ordering this device might be a good idea, since iPhones tends to sell out rather quickly during the first couple of days after they’re released. As far as pricing goes. 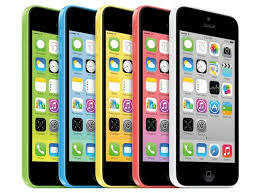 The 5c will cost 99.00 for the 16GB version. 199.00 for the 32GB version. 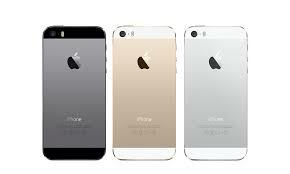 The 5s will cost 199.00 for the 16GB model, 299.00 for the 32GB model, and 399.00 for the 64GB model. All on each carrier’s contract of course. Oh and if you just want an iPhone., the iPhone 4s that came out two years ago with the smaller screen is now FREE on contract.